People have always come to the theater for different reasons: to relax, to be amused or entertained, to have a good laugh, to enjoy the acting of their favorite actors. If you are a real theater lover, this list is especially for you. You ought to visit, by all means, one of the following performing venues before you kick the bucket. Put off all your work, read the list carefully and start planning your cultural vacation. Plunge into the atmosphere, history, and character of the most beautiful places on earth – theaters. Rowena Cade’s brainchild – one of the today’s most amazing theaters – was built in the garden and dedicated to the local amateur players. Even today, only amateur groups use this venue. The season runs each year from May to September, so don’t miss the chance. Have you ever dreamt about seeing the musical performance or a large-scale opera on the floating stage? If yes, you have a chance to buy one of the possible 7,000 tickets to any event at the Bregenz Festival. The Winter Garden belongs to the must see places because it is the last operating double-decker theater today together with the Elgin Theater. Moreover, it is one of the last surviving Edwardian stacked theaters in the world. The so-called ‘Herodeon’ is situated on the Acropolis. Built in 161AD, this stone theater really charms with its beauty. Since the 1950s, the Odeon of Herodes has been the main venue of the Athens Festival. You can revel in dancing, music, and theatrical performances. It really belongs to the amazing theaters with a charming beauty. The Sydney Opera House experiences more than 1,600 multiple performances each year. A famous world’s landmark hosts annually near 1.2 million visitors. 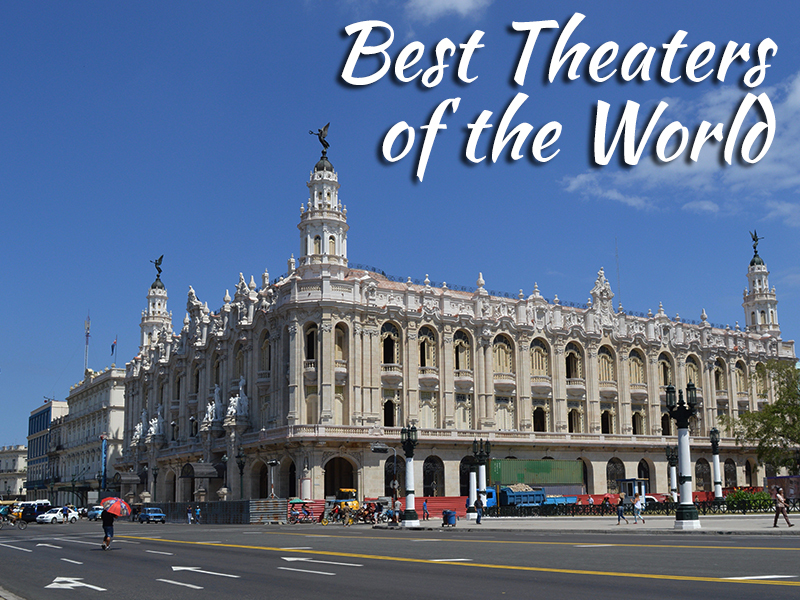 That is why it is considered to be one of the world’s busiest theaters. It is not much of exaggeration to say that theater really influences the way you think and feel about your own life and encourages you to take a hard look at yourself, your values, and your behavior. So, book tickets now in order not to miss the chance to make one of your inmost dreams come true. The way to arts is always open to us. Just find time to spare in your busy life. Art never dies, it is perpetual.